The first and last months of each year see a flourish of announcements about “the person of the year” and the like. For me, it is interesting -- whether the announcements come from the Nobel committees, Time magazine or my college alumni association -- to learn more about people who have made extraordinary achievements or had great influence. This season, I had a chance to get personally involved in one such event -- designation of the Person of the Year by the Asia News Network, a coalition of 24 leading news organizations across Asia of which The Korea Herald is a member. I chair the regional media alliance and thus worked closely with my fellow executive board members and other colleagues to select the ANN Person of the Year for 2018. Our first task was to nominate candidates. Some names were easy for the board to agree on, such as South Korean President Moon Jae-in, whose peace initiatives helped to de-escalate the North Korean nuclear crisis; and Malaysian Prime Minister Mahathir bin Mohamad, who made a spectacular election comeback at the age of 93. Other nominees included the women behind the #MeToo movement in India and Wa Lone and Kyaw Soe Oo, the two Reuters reporters who were jailed for shedding light on a massacre in Myanmar. As the votes from the board members started to come in, Moon and Mahathir were the leading candidates, and Moon eventually won the race. ANN said Moon was chosen for his commitment to diplomacy and dialogue, through which he “single-handedly disarmed the powder keg that had been primed.” Indeed, Moon’s three meetings with North Korean leader Kim Jong-un in a span of five months and his successful brokering of a historic meeting between Kim and US President Donald Trump were the driving force behind the turnaround in a crisis that had once raised the specter of war. The denuclearization talks between the US and North Korea have been stalled for months since the Trump-Kim meeting in June, but Moon may well be credited for turning the tide. In the end, Moon was among the runners-up and Time’s Person of the Year designation for 2018 went to “The Guardians,” journalists who stood up against powerful opposition to report the truth. They included the murdered Saudi Arabian journalist Jamal Khashoggi; a Filipino editor who was indicted for her critical coverage of that country’s president; and the same two Reuters journalists in Myanmar who had been finalists for ANN Person of the Year. The Korean boy band BTS proved its worldwide fame by making the nominee list for Time Person of the Year. In fact, the band topped the Time online readers’ poll. Regrettably for the K-pop sensation, the Time Person of the Year award is determined not by the poll, but by the magazine’s editors. Meanwhile, Time’s decision to mention both Moon and BTS prompted me to look over its past Person of the Year lists. (The title was “Man of the Year” until 1998.) I thought it would be interesting to see how Asians fared in the well-regarded magazine’s annual citations. This was not done out of a sort of East vs. West mentality, but out of sheer curiosity. As it turned out, Asians kept a low profile. (After all, Time is a US publication.) There were only five occasions when an Asian was named Time Person of the Year since the inception of the honor in 1927, when it went to the aviator Charles Lindbergh. India’s independence leader Mahatma Gandhi became the first Asian on the list in 1930. Chinese nationalist leader Chiang Kai-shek and his wife, Soong Mei-ling, were named “Man & Wife of the Year” in 1937 and Communist China’s paramount leader Deng Xiaoping was named twice, in 1978 and 1985. Former President Corazon Aquino of the Philippines, who led the country’s “people power” revolution in 1986, was the last Asian selected by Time. In 2006, Time began releasing its lists of runners-up, which included a fair number of Asians. Past runners-up have included former Chinese President Hu Jintao and the late North Korean leader Kim Jong-il. Kim made the list in 2006, when his country conducted its first nuclear test. Other past nominees from Asia were Chinese film director Jang Yimou; Chinese artist and activist Ai Weiwei; the Pakistani girls’ education activist Malala Yousafzai, who also was the youngest Nobel laureate; Chinese entrepreneur Jack Ma; Indian Prime Minister Narendra Modi; Chinese President Xi Jinping; and the current North Korean leader, Kim Jong-un. Looking over the lists, I wondered whom ANN and Time would choose to honor at the end of this year. Names began popping up in my head, and I only wished that both the ANN executive board members and Time’s editors would be given fairly long lists of candidates who will have contributed to making the world a better one. 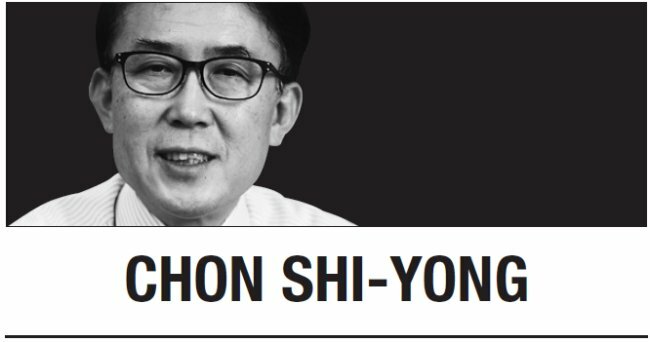 Chon Shi-yong is the The Korea Herald’s chief editorial writer. He can be reached at sychon@heraldcorp.com. -- Ed.